Your HVAC system controls the temperature in your home by circulating hot and cold air. If the units’ filters aren’t maintained correctly, it can impact air quality as well as energy efficiency. Below is a guide that expands on these issues and when to change filters. 1. When Should I Change My Filter? Exactly how often an air filter needs to be changed depends on both the filter quality and the amount of dust and other contaminants it’s filtering out. Typical time frames range from three to six months, but you may need to follow a monthly schedule. It’s best to monitor your filters to get a sense for your home’s unique needs. 2. How Do I Determine if a Filter Is Too Dirty? 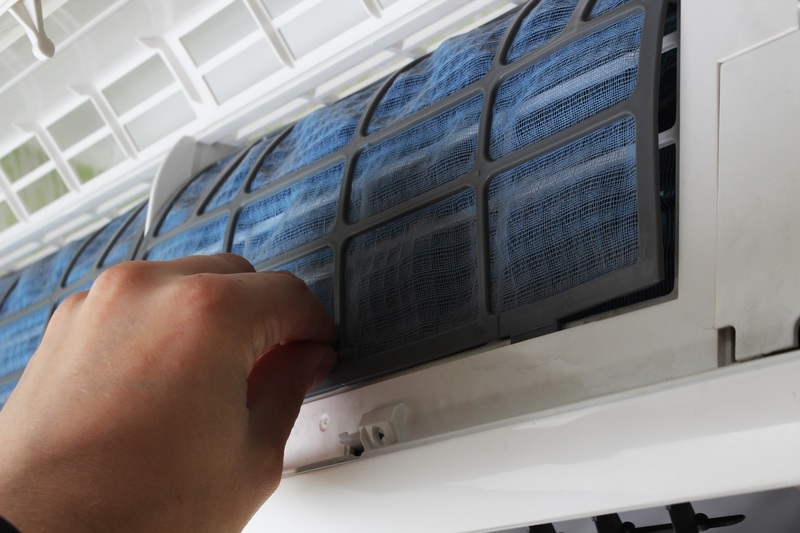 Locate your HVAC filter and remove it from its slot, then hold it up to the light. A filter which still has some usable life left in it should allow light through its surface. If you can’t see any light, the filter is clogged. Disposable filters should be replaced at this point, and reusable ones should be thoroughly cleaned. ​​​​​​​3. Why Is It Important to Change My Filter? First, if your filter is clogged with dust, you’ll be circulating a high volume of contaminants and allergens back into the air. Too much mold, bacteria, pollen, and dust can cause throat and lung irritation and serious health complications. Second, a clogged filter blocks airflow, making your HVAC equipment work harder. This could lead to system breakdowns and subsequent AC repairs. ​​​​​​​4. What Is the Best Type of Filter for Me? For most homes, fiberglass or pleated filters are enough to keep the air fairly clean as long as they are changed regularly. However, if you have allergies or a particular sensitivity to irritants in the air, or if there is significant air pollution in your area, you may be better off with a HEPA filter rated to remove even smaller particulates, creating even cleaner air in your home. If you need help locating or changing the filters in your HVAC equipment, contact Air Rescue in O’Fallon, MO. Serving an area from St. Louis to Wentzville, they provide knowledgeable service 24 hours a day, offering a full range of furnace and AC installations and repairs. To schedule a visit call (636) 764-0700, or visit their website today for more frequently asked questions.